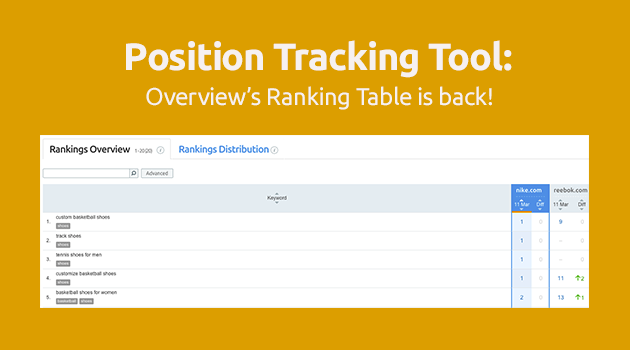 Position Tracking tool: Overview’s ranking table is back! Since the redesigned Position Tracking tool went live, we’ve received a lot of feedback. We appreciate every suggestion and comment you’ve shared with us! We’ve also received many requests to bring back the Rankings Table to the Overview report. Now it’s back! 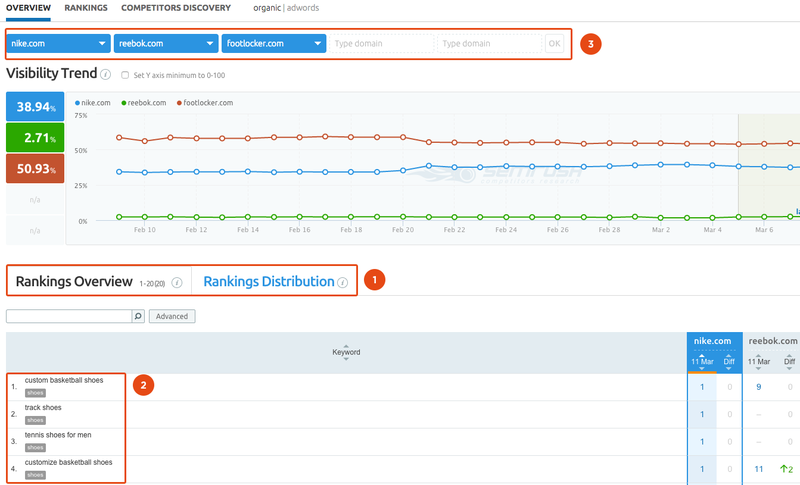 To check it out, go to SEMrush → Tools → Position Tracking. Now the Overview report has two tabs: the Rankings Distribution and the new Rankings Overview tab (1), which shows the position that a domain ranked with a particular keyword (2), including position changes over a selected period of time, a keyword’s CPC, and volume. With the new Ranking Overview table, you can not only see your website’s rankings, but also compare them to competitors’ ones by adding their domain name on the fly (3). Results in XSL and CVS files will change depending on whether you are viewing the Rankings Distribution or the Ranking Overview tab. We hope you enjoy the updated Overview report. Please tell us how we can improve by sending your suggestions to [email protected]. Need for speed: SEMrush is now working up to 40 times faster!